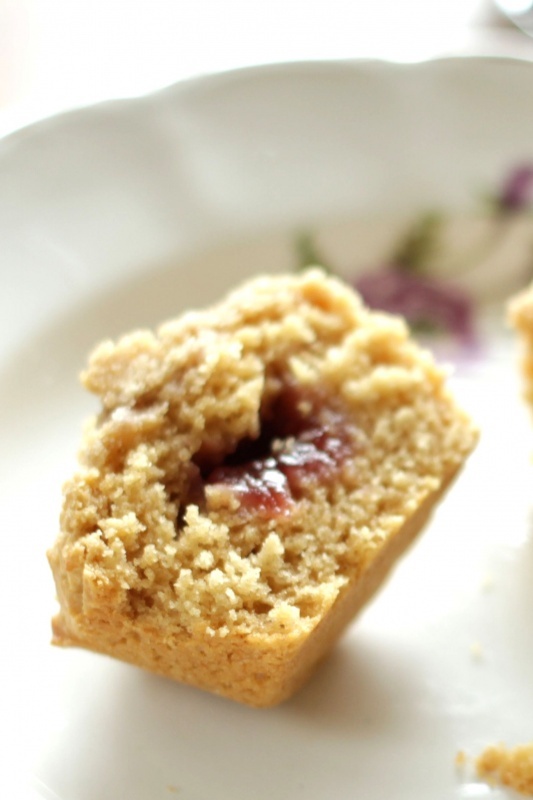 These luscious muffins make a decadent treat for breakfast or any time. Preheat oven to 350°F (160°C). Butter 12 standard-sized muffin cups or line with cupcake liners. For the Brown Sugar Streusel, in a small bowl, stir together flour, brown sugar and cinnamon. Cut butter into little pieces and, using your fingers or a pastry cutter, rub butter into flour mixture until it resembles coarse crumbs. Set aside. For the Peanut Butter Muffins, in a large bowl, whisk together flour, brown sugar, baking powder and salt. In another bowl, whisk together milk, peanut butter, melted butter, egg and vanilla. Add peanut butter mixture to flour mixture and stir just until combined. Spoon two tablespoons of batter into the bottom of each muffin cup (a cookie scoop works great for this). 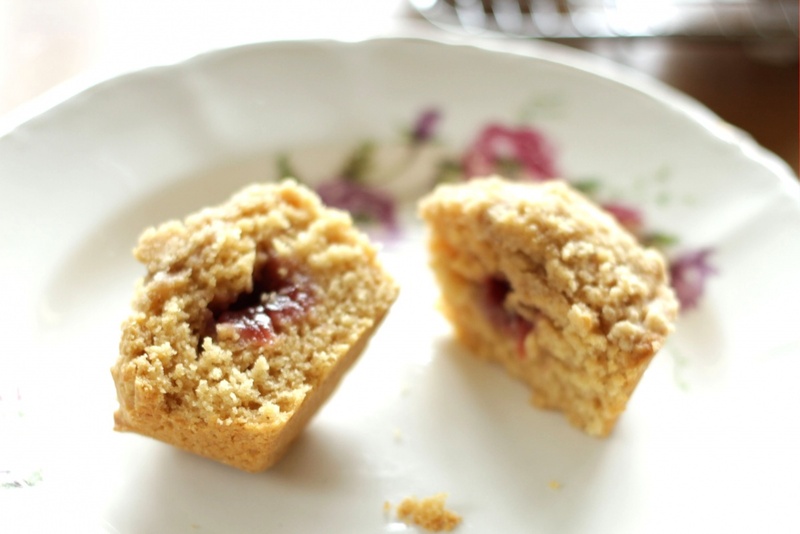 Place 1 teaspoon of jelly or jam in the center of each muffin. Spoon remaining batter over jam, about 1 tablespoon (cookie scoop) per muffin. Sprinkle streusel over tops of muffins. Bake 20-25 minutes, until lightly browned. Cool in pan on a wire rack for 5 minutes then remove muffins to wire racks to cool. Enjoy warm or at room temperature. 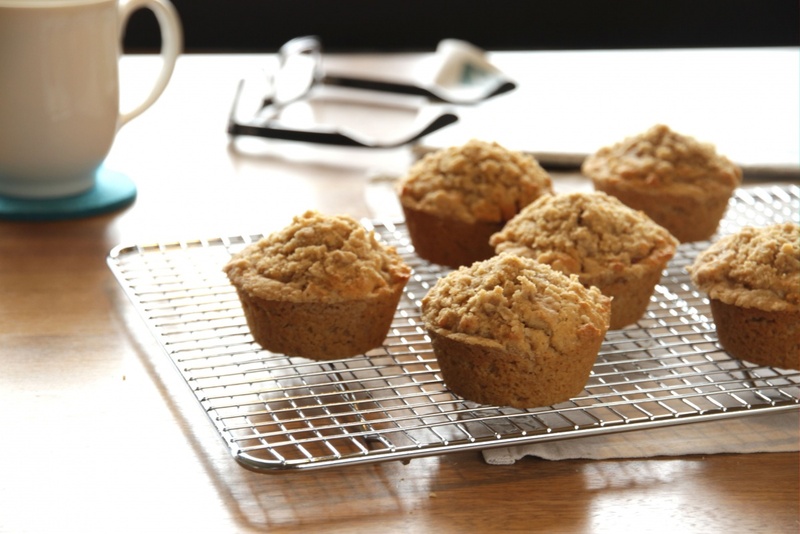 Store cooled muffins in an airtight container at room temperature for up to two days.